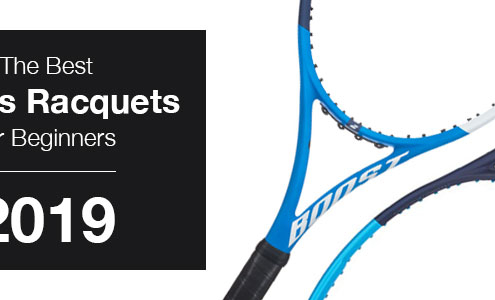 Learn about tennis racquets, read racquet reviews and browse your favorite brands. Whether you’re new to tennis or you’re just getting started, purchasing a new tennis racquet can be a fun and exciting experience. However, if it is you’re first time purchasing a racquet it can also be a bit daunting at the same time. Let’s take a look at a few things that can be helpful to consider when purchasing a new tennis racquet. Without a doubt one of the most helpful things I can recommend for new and experienced players is to learn or review the basic parts of a tennis racquet. It’s quick and easy to become familiar with the various aspects of a racquet and it will arm you with the basic information necessary to evaluate and purchase a racquet. For example, it can be helpful to understand what the beam or throat of a tennis racquet is, why they’re important and perhaps most important how they impact the performance. 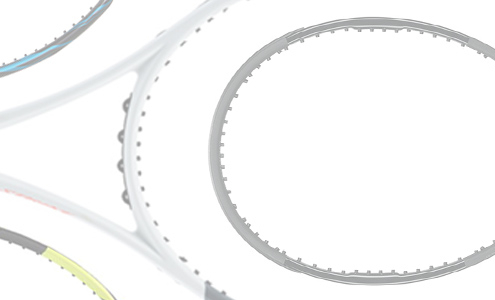 Once you’ve familiarized yourself it can be tremendously helpful to review the three different types of tennis racquets so you can learn about their common characteristics. For example, as a beginner you may find yourself gravitate towards power racquets, which can be a great choice for beginners, or you may find yourself falling slightly in-between types. Regardless, understanding the differences can save you a lot of headaches and help put you in the fast lane to finding that perfect racquet more quickly. As you begin to evaluate tennis racquets, it can also be beneficial to familiarize yourself with racquet weight and balance. For most players the conversation stops at whether or not a racquet is too heavy, which is certainly an important consideration. However, it’s just as important to understand how weight and the distribution of that weight impacts a tennis racquets feel and performance. I love tennis racquet reviews. When you’re buying a tennis racquet there are a ton of helpful technical specifications to consider, which can be great for comparative purposes, but they lack substance. An in-depth, organized and well thought out tennis racquet review on the other hand can give you a ton of insight into the overall performance of a racquet. However, as much as I love racquet reviews, there’s really no substitute for getting out there and hitting with a demo racquet yourself. At the end of the day, every player has bias and what works for one player or what felt great to another player is subjective, so it’s worth developing your own opinions and using reviews as a guide for the type of racquet you’re looking for. One great benefit of demoing racquets yourself is that you’ll likely start to find tennis racquet reviews more valuable because you’ll have multiple points of reference that you can draw on from your first-hand experience. 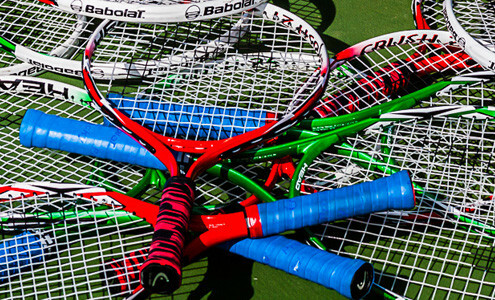 With over 15 tennis racquet brands it can sometimes feel like too many options. However, the good news is that selecting a racquet brand doesn’t have to be all that complicated. The reality is that all of the top brands carry a wide range of racquets designed to meet the needs of players with a wide range of styles, levels and preferences. As a result, whether you pick up one of the more common brands such as Babolat, Wilson, Head or Prince or you decide to go with one of the typically less familiar brands such as Volkl, Yonex, Technifibre or Slazenger, you’re likely to find a racquet that meets the criteria you’re looking for. So, instead of getting hung up on the brand, pick one that you feel good about and start there. If you begin to play with a particular brand’s racquets and you’re not finding what you like, then you may want to jump to another brand. This way you can narrow your options out of the gate, but still leave yourself open to try other brands and the unique technologies they offer without getting completely hung up on the sheer number of racquets available to you. Often times before even getting started, beginners will ask, “what’s the best tennis racquet?” Whether you’re just getting started or not, it’s worth noting that the very best tennis racquet is the one that meets your needs, matches your level of play, feels great in your hands and gives you the confidence to step out on the court and have fun. Unfortunately, what works for one player simply may not be great for another, so to classify a single racquet as the best would be doing players a disservice. So rather than going out and buying your favorite players racquet or the prettiest racquet on the shelf, give yourself the benefit of the doubt by reading up and tennis racquets before making your decision. You’re time spent will help you find the best racquet for you and your game will be better for it.